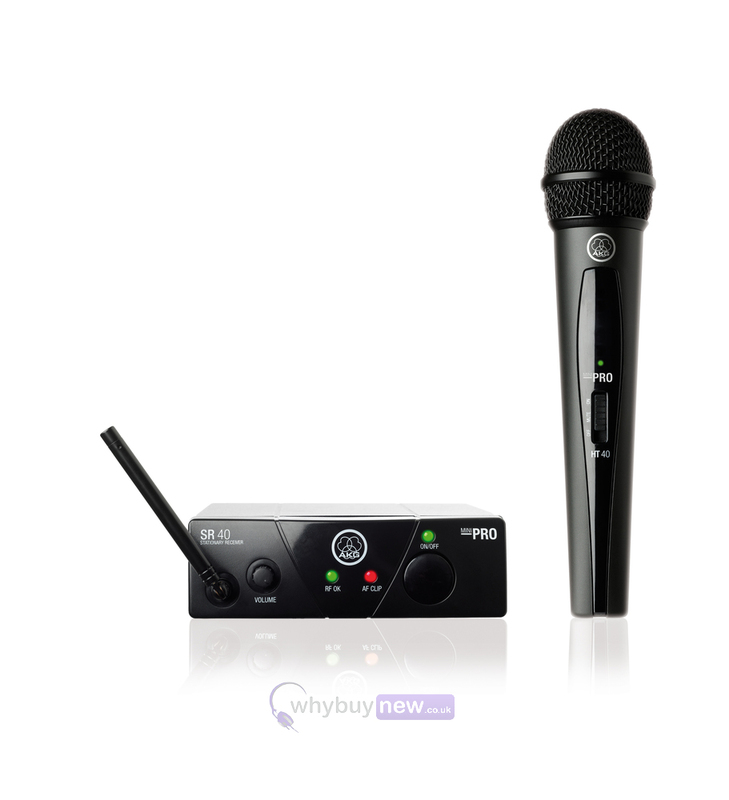 This great value AKG WMS40 Mini Single Vocal Set is a true plug'n'play wireless solution providing crystal clear audio sound for vocalists and DJ's at a great price. This set comes with the included AKG HT40 Mini handheld transmitter features a dynamic cardioid capsule for maximum gain before feedback. It's extremely long battery life of 30 hours off a single AA battery saves money in day-to-day use. The receiver comes in an ultra compact housing and offers a 1/4 inch jack output. 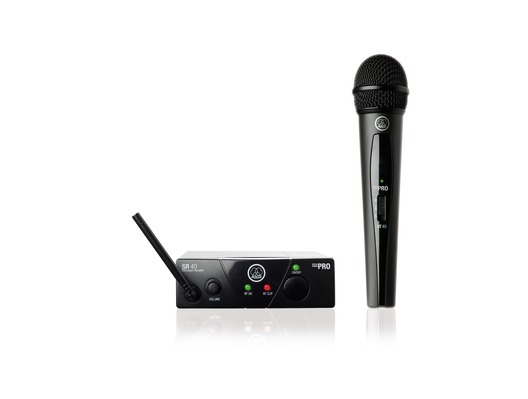 The SR40 Mini wireless stationary receiver provides crystal clear audio quality. It features three status LEDs indicating on/off status, received signal strength (RF OK) and audio clipping (AF CLIP) The receiver provide a volume control potentiometer and a noiseless on/off switch to protect the connected speakers. The SR40 Mini features one balanced outputs via a 1/4 inch jack connector. The supplied switched mode power supply operates on any AC voltage from 110 to 240VAC and includes EU, UK, and US adapters. Easy to set up and use. Great value for money!